Radiant heating - also known as underfloor heating - seems like a luxury to many. The thought of walking across a warm floor on a cold winter day is wonderful. Could it possibly be practical too? Yes! Radiant heat flooring is actually a cost-effective, energy-efficent way to heat your home. Radiant heat flooring can be electric, hydronic (uses hot water), or air-heated. In any method, tubes are installed beneath the floor and when the radiant heat is turned on, the room is warmed through the surface of the floor instead of the air above it (which is how traditional heaters work). In essence, the floor warms everything in the room - not just the air - so your room feels warmer even though your thermostat will be set lower. If you're getting ready to remodel or build a new home, read on to see if radiant flooring is right for you. Which floor types are best for radiant floors? Hardwood floors contract and expand with temperature changes and laminate wood floors often have temperature limitations - we do not recommend installing a radiant floor beneath a wood floor of any type. Radiant heat can work with a carpeted floor but keep in mind that carpet's natural insulating tendencies can also cut down on the heat that comes through from the radiant system. What's the best floor type for radiant heat? Tile. Tile is a natural material that already conducts heat making it the prefect option for a radiant floor. 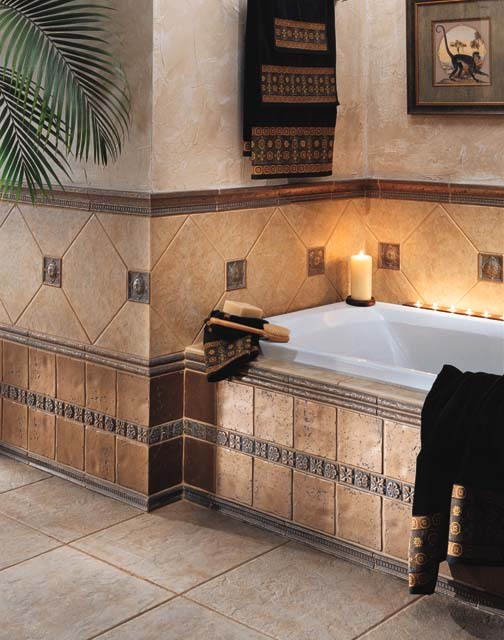 Ceramic, stone, marble... any type of tile will truly make the most of your radiant floor system. Read more about the benefits of radiant heating from the U.S. Department of Energy. 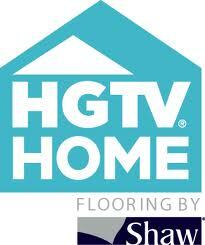 Kermans Flooring design partner, HGTV. Radiant heat can save homeowners money by reducing the need for your furnace. There are other benefits to radiant heat too. Those with allergies often suffer more during winter months because of dust issues. Radiant heat doesn't blow any air around - or dust - and is thus more friendly to those with allergies or asthma. Radiant heat is also more comfortable because it maintains a constant level of heat at floor level - where you sit, stand and play. Simply put, you just feel warmer when the heat is coming from the floor than when it's in the air around you. Ready to make radiant heat a reality in your home? Stop by Kermans Flooring in Indianapolis. We'll help direct you to top manufacturers of radiant heat and select just the right floor to warm your toes and please your other senses too.